Due to the recent announcement of DayZ (finally) leaving Alpha it looks like the right time to sit down with Rolle who is one of the owners of DayzRP. 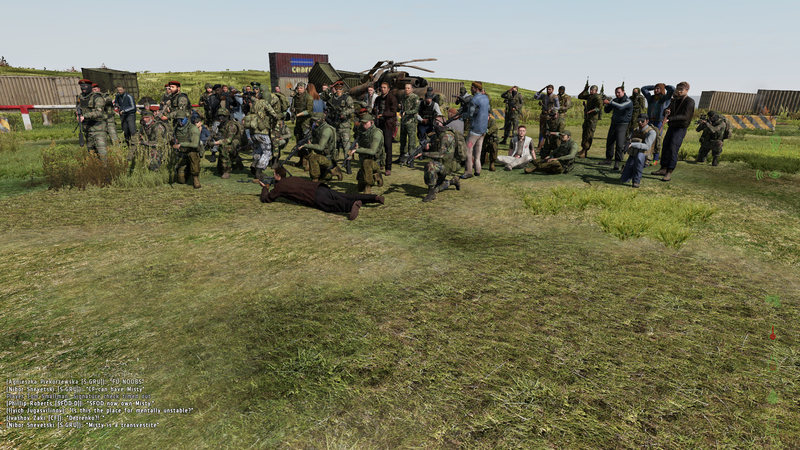 Founded in July 2012, DayzRP has become the biggest roleplay community within the game. With over 28.000 forum members and great exposure on platforms like Youtube they have left their mark on the whole DayZ community in general. I was curious to hear his story on how their journey went from starting a roleplay community which grew this big and successful. Hey Rolle, thanks for taking the time to have a chat with us. First of all, how are you doing today? Hi, doing great. Thank you for having me. Can you give us a rundown on how & when you guys started and what your initial goal was? DayZRP started as a simple no-KoS (kill on sight) server, intended as an alternative to the public servers where players just killed each other. I wanted to create an environment where players would have to interact with each other in some way, which made things much more interesting and prevented frustrating deaths where you get killed by a sniper from hundreds of meters away and have to start over. After several months as a no-KoS server the interest and our numbers grew and so I what started as a simple passworded server turned into the largest whitelisted role play community for DayZ. Fast forward to current times, last time I checked you guys had a total of 28,426 forum members (very impressive!). What happened to that little roleplay community you started back then? Actually, we switched the website system last year, which also resulted in all unused accounts being deleted from the system. If they were still here we’d probably be up around 150,000 accounts by now. It grew up so fast. Especially 2013 and 2014 are considered the golden age of DayZRP, we had our own customized DayZ Mod with active developers which we distributed through our own launcher. That’s also the time when we got featured in gameplay videos of large YouTubers which resulted in waves of literally thousands of players trying to join the community. It was really hard to keep up, I distinguishably remember having over 1000 pending whitelist applications in our system and me and the admins pulled long evenings reviewing them all for a few weeks. However, with time the popularity of DayZ Mod wavered and once DayZ Standalone was released in early access most of the DayZ players switched to that, and so did we. We keep our DayZRP Mod legacy close to heart though, for many these were unforgettable moments that will never be forgotten. For the ones who are unknown to DayzRP, can you tell us a little bit about how roleplaying within DayZ works? Since DayZ is an open world game with no real objectives it is very much up to the player to choose how role playing will be done or whom you can role play as. We have a bunch of rules that restrict the abusive kind of role play, but other than that it is up to your imagination. Of course we also try to keep things realistic, so we have a lore surrounding the events in game and all characters must abide by it and make their own stories compatible with it. 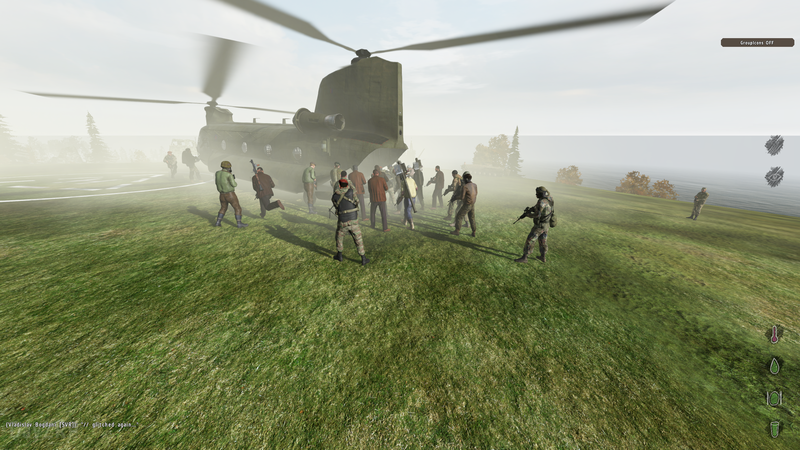 As it stands one server holds only 60 players, and with a large open world like that it is sometimes difficult to find other players to role play with. Players have therefore taken upon them to create hotspots where most of the time you can meet other players. Currently we have a pub that is open during the evenings as well as a safe zone where no PvP is allowed during certain times. However, despite being a role play server, PvP is still a large part of the experiences in DayZ. You will die and get killed by other players, a lot. As for actual gameplay, most of RP is done through voice, we do however have a handful of text only role players. Both ways of communicating are fully viable. All our players are required to create a character page on our website, where you describe your character and his or hers story. Your server works with a whitelisting system ( new members have to be approved before joining the server). Was this something you had from the start? We didn’t have a whitelist for the first few months of DayZRP, when we weren’t really a role playing server, but rather a regular server with limited PvP. Ever since beginning of 2013 we have enforced strict whitelist on all our servers. When browsing Youtube & Twitch for instance I see a lot of content being recorded on your server. How did this happen, did you guys started the first initiation (contacting entertainers) or did this just happen out of nowhere? It’s quite funny actually, back then I did not advertise DayZRP in any way or reached out to any content creators, it just sort of… happened. One day we were struggling to fill one server, the other there were hundreds of new members on the website asking about how to join. From what I know they all got interested in role playing in DayZ through word of mouth and recommendations from our existing players, who were also their viewers. Besides the DayZRP server your forums are also booming. How importants are forums nowadays? since a lot of communities stick to only having a Discord for instance. The website and forums are the core of the community. This is where we discuss everything from someone’s new character, to new rules, hotspots on the map and lore developments. I cannot imagine DayZRP without a fully functional forum platform, Discord and similar are fine for more light role play communities. We however create a lot of content that needs to be shared with a lot of people and it just wouldn’t be practical without a good website system and custom functions to accommodate for that. We have a text role play forum where you can role play with other characters through radio, lots of people use that to role play even when they cannot get in game. We also have quite a few members who no longer play DayZ, but still stick around on our forums for daily content and discussions, just because they got used to it. I think that speaks for itself. Great job on the Promotion system (beta), how did you come up with this system and how is it being maintained? I got this idea from our co-owner – Jim. While I am the original founder of DayZRP and handle all programming, maintenance and act as a community leader, Jim joined later on and primarily handles public relations and contacts with content creators. We sell Premium ranks to our members, these contain cosmetic and quality of life perks for our members. That’s how we finance our community. Promotion system allows you to promote DayZRP by recruiting new members, spreading the word or creating content and receive credits on the website which you can exchange for Premium ranks. It’s a nice alternative for people who perhaps don’t have PayPal, but would like to “pimp out” their website or character profile. We also get more members and the word about our community spreads, so it’s a win-win for both sides. Managing players on a roleplay server is always more work than on a regular server. Besides having a whitelist system, there is always work to be done. How is the staff hierarchy set-up and what are the tasks for each rank? Indeed, sometimes it is a lot of work, especially in our community where we are so serious about role play and demand all members to be mature and respectful at all times. I believe in keeping the staff ranks simple and with specific goals, that way we don’t have a lot of similar overlapping and unnecessary ranks (Junior admins, senior admins, etc). Support – these guys and girls are the 1st line support. As one of few communities I know we actually have a working helpdesk on our TeamSpeak server which is usually manned about 18/7 by a member of the staff. It’s there to quickly and effectively answer our members questions or escalate important issues to higher ranked members of the staff. Support team is the primary caretakers of the Helpdesk as well as answering questions and troubleshooting threads on the forums. Internally, this position is somewhat of a staff trial, to see if you are dedicated, dependable and mix well with the chemistry in the staff team. Lore Masters – these are people in charge of progressing the storyline of the community, arranging events, collaborating with official groups on the server and player guidance when it comes to character stories. I see DayZRP is no stranger to in-game events, anything special coming up? We used to have lots of events during the DayZ Mod era, when we had access to admin tools and could spawn vehicles, units and zombies. It made for hilarious events and really unique experiences. 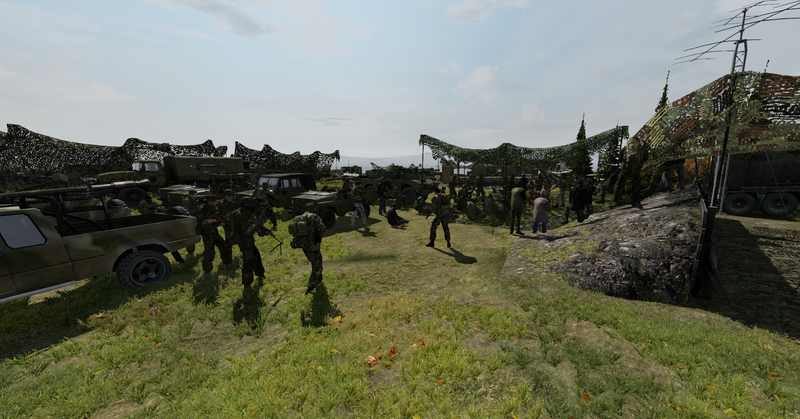 In DayZ Standalone however we do not have access to any of that, so it has made creating events much more difficult. Now days most of the events are small and arranged by the players, we just recently had a fishing tournament and the next upcoming one that I know of is a “fight club” inspired event, a fist fight tournament. Do you think the fact that DayZ will (finally) be entering its beta have an impact on your community? We have been waiting for this moment for four years, even since DayZ Standalone was announced. We abandoned our custom DayZ Mod as soon as Standalone was released in hope that it will quickly surpass the aging and declining DayZ Mod in both customization and better gameplay. As the history shows we had to endure several long years of waiting and frustration with the speed of the game development, but we’re finally getting there. I just hope that it is not too late and once we are able to mod the game and servers again we will be able to return to that golden age of DayZ role play. You and your team have been active for multiple years now. There must have been times where you got fatigued. How did you handle those situations? Real life comes first, that’s what all staff members are told when they are first recruited. We have a staff “vacation” system which people utilize themselves or the admins send them on vacation if we believe they are burned out. It lasts 1-3 weeks and during that time you are removed from the staff team and all duties and may not come back earlier even if you want to and say you’ll all rested. It works surprisingly well and it’s really appreciated. Myself I rarely have to take breaks or vacations, and when I do it’s more due to practical issues of managing a community from a smartphone abroad, rather than the fact that I am burned out or fatigued. I go on periods of reduced activity during which I take a more backseat role and let the admin team handle everything, I think that helps a lot too. Looking back over the years, what are some of your fondest memories of events which occurred within your community? I loved our in game events during the mod. 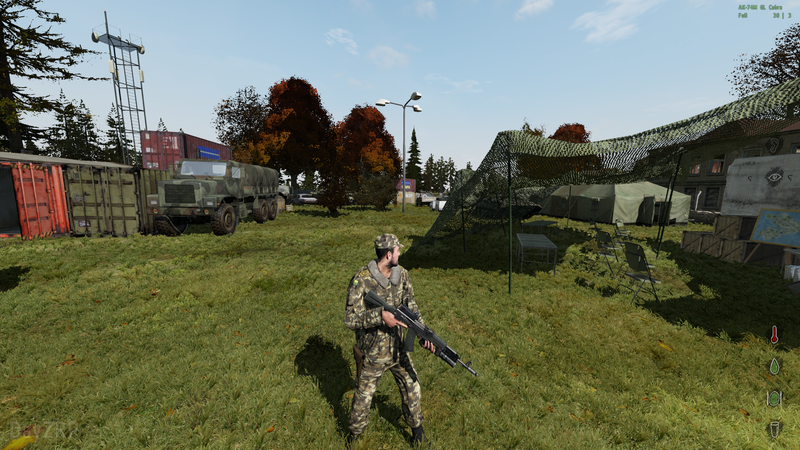 Me and other admins used to have tons of fun by providing unique experiences to our players by spawning hordes of zombies for them to fight against or spawning vehicles to fight evil organizations or Tour de Chernarus, a bike race on a modified Chernarus map that we created ourselves with obstacles and bike stations along the way. I also loved our first and second Trade Post safe zones, iconic locations that bring back memories of people coming to trade, talk, start events or gather information. 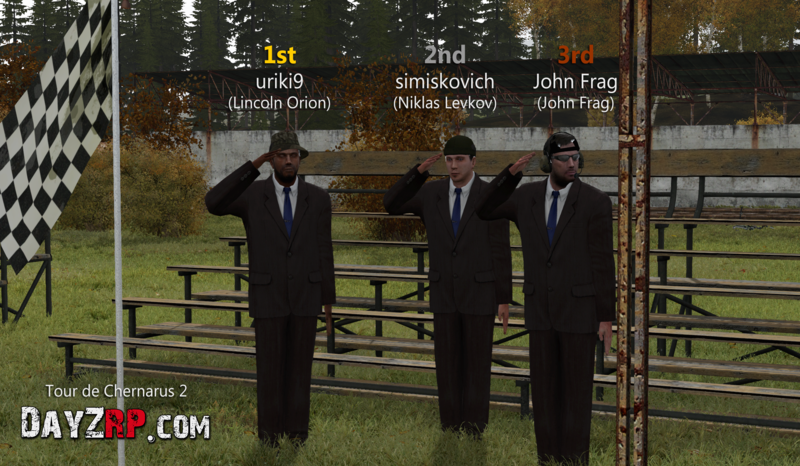 We’ll definitely go back to these events in DayZ Standalone once we get the modding and required admin tools. Lastly, starting a new community (be it rp or non rp) can be very tough. Do you have any tips for these (starting) communities? You have to be first and you need something that players want for that particular game. A particular set of rules, PvE only, role play, battle royale? Unique things like that which set you apart from all other, create your own niche. DayZRP succeeded mostly because I was the first out there to offer the kind of gameplay for DayZ that players wanted. It’s very difficult to create a healthy growing community if there are already other established communities that do a similar thing as you.